Mikhail Zoshchenko was born in Poltava, Ukraine, on 29th July, 1895. He studied law at the University of Petersburg, but did not graduate. 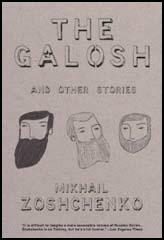 Zoshchenko's early stories dealt with his experiences in the First World War and the Russian Civil War. He gradually developed a new style that relied heavily on humour. This was reflected in his stories that appeared in Tales (1923), Esteemed Citizens (1926), What the Nightingale Sang (1927) and Nervous People (1927). Zoshchenko satires were popular with the Russian people and he was one of the country's most widely read writers in the 1920s. Although Zoshchenko never directly attacked the Soviet system, he was not afraid to highlight the problems of bureaucracy, corruption, poor housing and food shortages. In the 1930s Zoshchenko came under increasing pressure to conform to the idea of socialist realism. 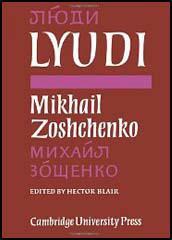 As a satirist, Zoshchenko found this difficult, and attempts such as the Story of One Life were not successful. Zoshchenko increasing got into trouble with the Soviet authorities. His autobiographical, Before Sunrise, was banned in 1943. During the Second World War Zoshchenko was expelled to Tashkent with the poet, Anna Akhmatova. However, his exile had made him very ill and when Isaiah Berlin met him in 1945, he described him as "yellow of complexion, withdrawn, incoherent, pale, weak and emaciated", shook his hand but did not have the heart to engage him in conversation. In 1946 Zoshchenk's literary career was brought to an end when he was expelled from the Soviet Writers' Union after the publication of The Adventures of a Monkey in the literary magazine, Zvezda .